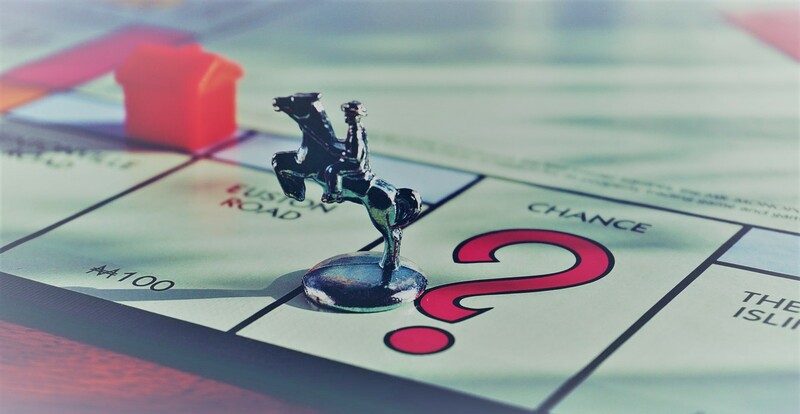 What numbers to look at when buying a property can vary from country to country as there might be different taxes, fees and levels of costs but in the end the key is to make sure you have accounted for everything you can expect. If it still is an interesting deal, then you might want to proceed but don’t just jump on the first one that comes up. I have looked hundreds of deals and run the numbers. After a while it gets easier and easier to understand if it is an interesting investment or not but the more work you do upfront, the lower the risk of nasty surprises. The first thing I do is to check out various sites with properties for sale. That gives me a good idea of what we are talking about in terms of the size of the investment. The second step is to look at the rental market to understand the levels and demand. Ideally I want to understand if some type of properties are in more demand (higher rents), if so why and what the premium is. If I myself don’t intend to use the property I would focus on high yield with as limited risk as possible. I also love properties where you can easily add some value. So when looking at the floor plan of a house, I always look at the size of the rooms to get a feeling for if one can add a wall in order to get an additional bedroom. This depends again on the type of tenant and what they are looking for and if the number of bedrooms is more important than a more spacious living room. I then use a rule of thumb as to what the cost of buying and owning that property will be; the price of the property and the expected rent. This will quickly tell me if it is an interesting investment or not. In our case as we were going to let it occasionally, I checked sites like booking.com, airbnb.com and local hotels and resorts to get a feeling for the rate per day and their occupancy rate. If you know your “competitors” are fully booked and exactly how much they charge, it is so much easier to run your numbers. Now back to our case and the house we were looking at as a second home. 1: What kind of yield can I expect? The property yield is the income you expect (annually) minus all annual costs (including large ones, like replacements etc.) divided by the price of the property. For example: If the house is 100,000 and you expect 20,000 in rent and expect 10,000 in costs, your yield would be: (20,000-10,000)/100,000 = 10%. You can do the same numbers on your equity part(if you borrow money to purchase, this would be your cash investment so not your mortgage). Say you borrow 80,000 and invest 20,000 of your own money to purchase a property for 100,000. Then 20% would be your “equity” in the property and 80% your mortgage and your Loan To Value (LTV) would also be the same number 80%. The lower the LTV, the lower interest your would normally get. Your Yield on your invested cash would be: (20,000-10,000) / 20,000 = 50%. This is a very simplified example but still (I have for one not taken interest on your mortgage in to account but instead just used the costs from the previous example). On top of this, you will most likely also have to pay taxes on your income, again, you have to look at the rules in your jurisdiction to make sure you get your numbers right. Costs to take into consideration will vary depending on how you rent it, but may include: insurance, electricity, water, taxes, continuous maintenance (walls, floors, garden, roof, kitchen, bathrooms etc. ), management agent fees, lack of rent during renovation or between tenants or potential issues with tenants. Since we will use it as a second home as well as renting it (in my particular jurisdiction this is a tax efficient way of doing it), I would be rather happy if the house pays for itself! I therefore looked at the fixed and running costs per year (taxes, water, utility, insurance, heating), that would be around 5,000 USD (limited usage and very low property taxes in Sweden compared to the US for example). The average room rate was around 100 USD per night in the area which would mean that if I could rent it 50 nights, it should cover most of my fixed cost and some of the running costs. This is just a simplified example and you will have to do a much more detailed one for the property you are looking at. In our case this made it quite interesting, by letting it for a minimum of 50 days, we should be able to cover the fixed costs and potentially even some maintenance. Considering that guest should be interested in renting both during the summer as well as winter, 50 days did not sound that high. If we wanted to we could also rent it long-term but with different tax implication, however the demand should be there and the yield would still be attractive. For us, it is important to also take into consideration how much we would have paid had we rented a similar place three times per year… That would have been in the region of 3,000 USD… So if we use it for three weeks ourselves, that is 3,000 USD staying in our pockets and that has to be taken into account as well! This of course makes this particular purchase even more appealing. If you want to dive into numbers in more detail since this is just a very simple overview, have a look at this extensive post by Coach Carson (US) who provides lots of in-depth information, just click here. 2: Is there a particular property that seems more attractive price wise? When just quickly looking at the numbers (as I now know what kind of income I can expect) I of course want to get the most out of my money. Therefore I look at the ones with the lowest prices (if they look attractive for my target audience). I then try to understand why that particular property has a lower price (more maintenance needed, larger expenses required immediately, location, floor plan etc.). In our case I had decided that I ideally wanted a house in town rather than on the countryside. This means I have a broader audience as they are not required to come by car and if I rent to a family they can do different things without needing two cars. I also wont have to think about removing loads of snow (keeping the road to the house clear) and there should never be any problem with water supply etc. as this is supplied by the council. 3: Besides from the annual fixed costs and estimated running costs, are there any larger repairs or maintenance required within the next few years? This is super important and can make a massive difference to the attractiveness of the property. The specific house we were looking at has a decent roof and relatively new and efficient windows. The heating system is a bit dated but still functioning well, kitchen was ok and the same for the bathrooms (which are normally the bigger items). We always try to take good care of these things to make them last longer or do smaller improvements to prolong their expected life. When replacing or doing major work one should always look at different solutions and not only the short-term up-front expense. Maybe a new heating system will lower your running costs, same goes for better windows or insulation. Depending on how long you intend to own your investment for, you should have an understanding of what might have to be done and what has to be done and take that into consideration! Maybe it is a better deal to buy a newer or more expensive property as there (hopefully) won’t be any large expenses during the next ten years. That might give you time to work up a decent buffer to handle these expenses when they do occur. Again, make sure you don’t just buy anything because it looks cheap, try to look at it from all different angles and then make a sound decision (less risk of nasty surprises afterwards!). 4: Property demand in the area looking a few years ahead? If it’s a big city and a decent area, you can probably be comfortable there will still be demand. It can be very different if it is a smaller town and especially those that are dependent on one or a few large companies. What happens if they move or close down? Just try to look at the big picture at least a few years down the line depending on how long you intend to own the property for. In our case, there are quite a few companies in this town but not really one large than the other and as we are more focused on tourists, we are pretty comfortable that there will be decent demand for outdoors activities as more and more people realize the benefits of being active and outdoors. Always be realistic and make sure you can handle any potential expense. Once you are up and running with a cash-flow it’s a lot easier to relax. If you leverage yourself too high or have not done your homework, your investment might become a nightmare. I want you to be prepared for what can happen and make sure you can handle it (thought I know FIRE aspirants can handle anything) and that your numbers are sound. Look at different ways of owning a property and find a way that appeals to you. If you don’t want to be involved at all, make sure you look at a proper setup for just that, taking everything (ideally) into account. If you wish to be more hands-on, find something close to where you live and take care of it yourself. I encourage you to always try to find a new angle which others might have missed and that you might be able to take advantage of. Maybe there is a massive and growing event one week per year in a particular city and there are never enough rooms. Maybe you can buy something close to that location and rent it during that week for a ridiculous amount (cover most annual costs) and then rent it much cheaper during the rest of the year. Again, there are so many ways of finding or actually creating opportunities, just use your FIRE goggles to find them! I love leverage and have written extensively about it. Leveraging to buy an investment property of course makes sense as long as you can cover the costs of the mortgage and the amortization. Do make sure that you have a feeling for your interest rate risk (bargain like crazy initially to get a low rate). If you go with floating rate or teaser rate, what happens if interest increases with 2%, can you still handle it? Look at different scenarios and make sure to have a view on where interest is going because it will affect you! If you have not yet checked out my session on how the economy works, please do as you will benefit from understanding this your whole life! One also has to take into consideration how much it might cost to use a management company and how they charge. Monthly fee, fee per call, per action etc.? You have to know and you have to understand what you can handle and what not! Maybe you don’t need a management company, it all depends on the kind of property and tenants etc. If you are letting long-term, maybe you can have an agreement with the tenant to take care of most things. For larger items you pay for it but the tenant takes care of finding the handyman. Regardless of what you do, you have to find the best way possible because in the end the money will come from your pocket and you want to keep as much of it as possible! Can I improve the numbers?? Always use your FIRE creativity to find new ways of adding value and making more money from your property. Play by the rules and regulations but be creative! As I mentioned earlier, maybe you can add or remove a wall depending on what your goal is and who your clients are. What is your target client looking for and how can you make that happen. Maybe you have found a property but there are things to be done to find your ideal tenant. By knowing what kind of tenant you want and what they are willing to pay, you can calculate if it makes sense or not. Let’s say you buy a flat with 3 bedrooms, maybe you can make it 4 and rent it to a larger family to get a higher rent. Maybe you can add a third bathroom and rent the bedrooms individually. Maybe the impression is important and a large living room is key for you DINK tenants (Double Income No Kids) and then it might make sense to knock down a wall to a room to expand the living room. Some things cost more than others and you always have to do the numbers. If the house has two floors, can you add a door and and a new kitchen and make it a two-family home (again do your numbers!)? A few easy fixes that make sense in almost every area (besides maybe from social housing with fixed rents and lots of potential tenants) is to make it fresh by doing some new paint work, decoration (potentially) and change the wallpapers and maybe the floors. I am not saying that you should spend a lot but impression counts! If you are renting long-term as well as short-term, the photos or the impression your property gives will make a difference as to how much you can charge. Some of these things might be part of normal maintenance and maybe you want to do it prior to a new guest moving in, even if it not completely necessary but again you have to do the numbers! In our particular case and as we also intend to use it for ourselves, we wanted something that would be ok for us as well as our guests. Had it been a home for us to live in full-time, we for sure would have done things differently (only talking about the interior). In conclusion, be creative! Add a room, a top floor, an extension, redo the basement etc. Remodel the garage into a tiny house, rent out a parking space etc. Live by the law but use your creativity to maximize you income and minimize your costs! In the next post I will go through my thought process before buying the house, during the process and what improvements I wanted to make, how fast and why. Check out the next post! Buying a property part 3 – Purchasing Process, Thoughts and Action!